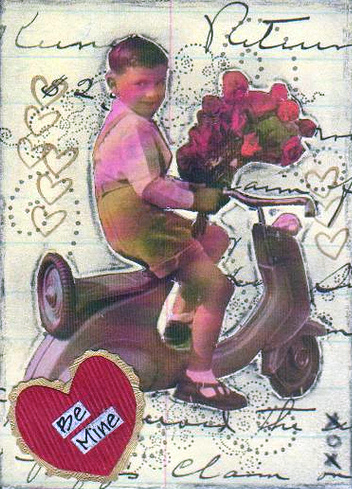 Happy Valentine’s Day my dear Scooter Swaggers! Equipped with airbags and love! These valentines were spotted in Target by Andrea A-K recently. (Thanks Andrea!) I believe they are made by Carlton Cards. I can’t find an online source as of yet. Zoom went the strings of my heart. 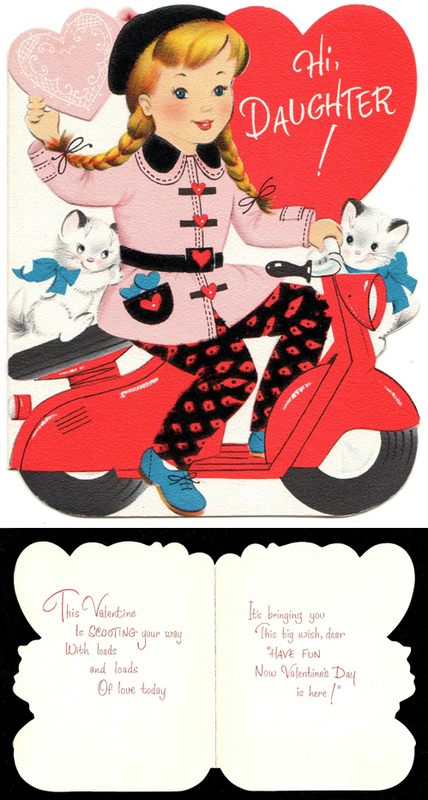 Last year I got all excited when I found a Triumph Tigress-esque valentine. Well it turns out I am a very lucky girl. Because a designer at Pottery Barn was probably one of the people I was bidding against on eBay. They feature the same valentine on a $12 card set, in a $20 plastic tumbler set, a $26 melanine plate set, in a paper heart garland and in a floor puzzle (available only in the stores.) 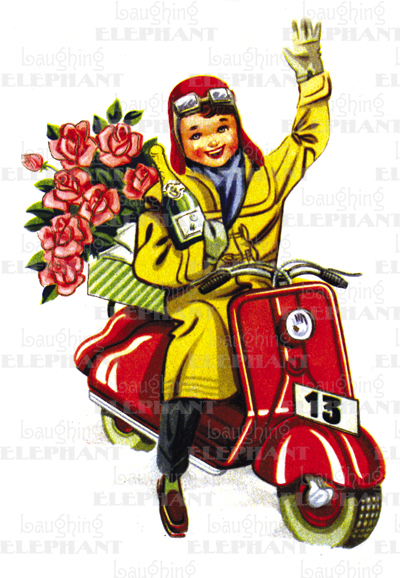 Here’s a buying tip – if you just want the scooter plate, go to the stores and grab one. They’re just $6.50 and display wonderfully. The folks at my local store said everything would go on sale the week before Valentine’s Day. 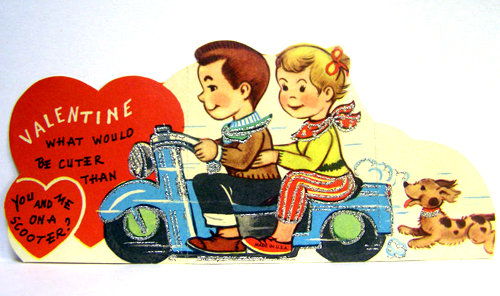 Here are some handmade vintage-y and real vintage children’s valentines for your enjoyment. Thanks to Scoot! Magazine for the find. 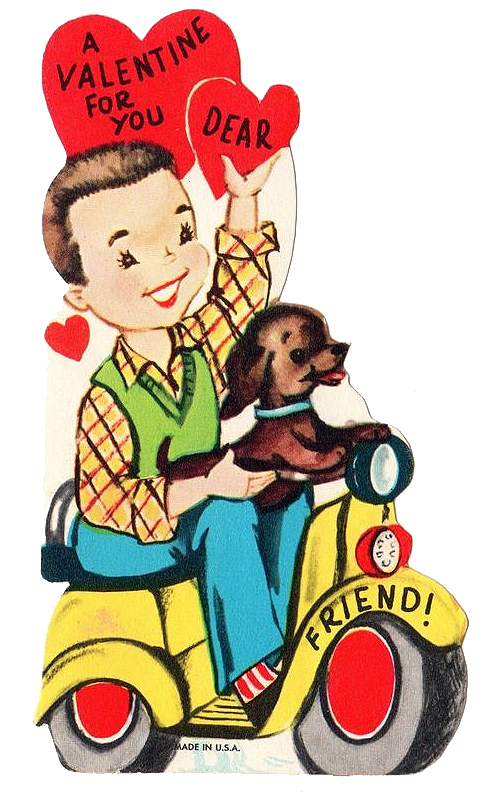 The card was featured in April Whitney’s “Collector’s Corner” feature in the December 2010 issue. 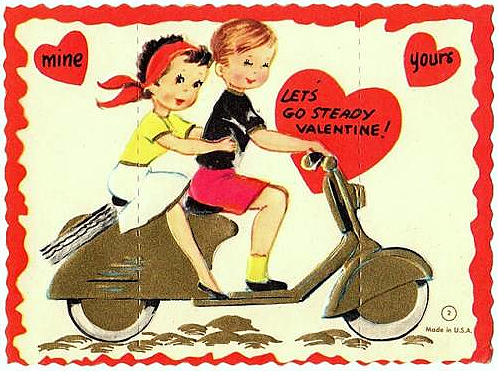 Happy Valentineâ€™s Day Scooter Swaggers! 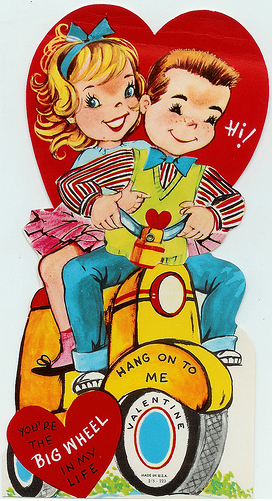 Here’s a couple of vintage childrenâ€™s valentines I found online. Enjoy! Heart Shaped Exhaust Shrouds City! 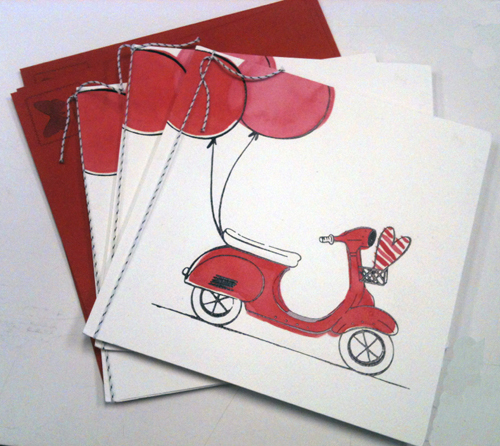 Actually this is just a cute card available now at Target. Thanks to Tom for the scan and the find! 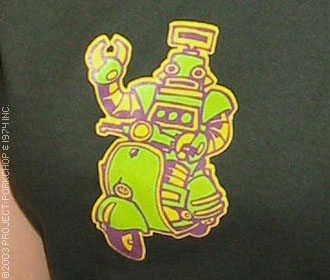 Project: Porkchop is a custom t-shirt company based in Chicago. 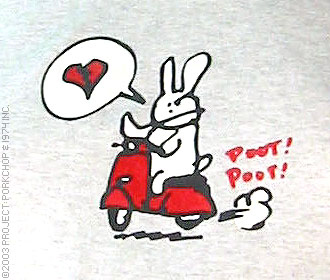 I am partial to the angry bunny but don’t know why. It’s currently on sale for $9.99.